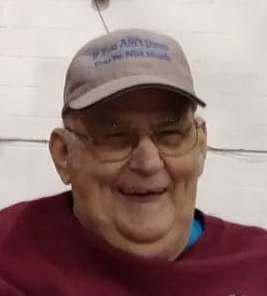 Leon F. Burkert, 79, of Hamburg, passed away on Saturday, April 13, 2019 in his residence. He was the loving husband of Margaret M. (Miller) Burkert, whom he married on February 20, 2002. Born in Maxatawny Township, Leon was a son of the late Luther E. and Florence E. (Spayd) Burkert. Leon was employed by Cracker Barrel Old Country Store, Inc., working as a Dishwasher at the Hamburg restaurant, retiring in 1998. Prior to that, he worked for the former Big John’s, Reading and Caloric Corporation, Topton. Leon was a member of the Country Western Club of Reading for 15 years. He enjoyed country dancing and spending time with his family and friends. In addition to his wife and caregiver of 17 years, Margaret, Leon is survived by his three brothers, Roy L., widower Fay Burkert, Virginia, Stanley O., husband of Ethel Burkert, Kutztown, and John H., husband of Linda Burkert, Fleetwood; and his silly buddy, Susie. A funeral service to celebrate Leon’s life will be held on Saturday, April 20, 2019 at 11:00 a.m. in Ludwick Funeral Homes, Inc., 333 Greenwich Street, Kutztown, PA. Relatives and friends are invited to a viewing on Friday evening from 6:00 to 7:30 p.m. and again on Saturday morning from 10:30 to 11:00 a.m. in the funeral home. Burial will be held on Monday morning, April 22, 2019 at 11:00 a.m. at New Bethel Zion Cemetery, 1343 Long Lane Road, Kutztown, PA (Greenwich Twp.). Contributions may be made in Leon’s memory to his wife, Margaret (239 Pine Street, Apt. 108, Hamburg, PA 19526) to assist with his medical expenses. I never met or spoke with Leon, However my co-worker and good friend at National Pen Co. Always speaks of him and his wife. She said he was a kind and gentel man with a big heart. I can see from his smile that he was full of love and life, He will be greatly missed. Rest Easy Leon and continue to shine your light on all who loved you. Every country music player knew Leon. He was at many shows since I know him in the 70's. He always had encouraging thing to say about your music. My sympathies to Marge, family and friends. It was great to see Leon and Marge only a few weeks ago at Hamburg Field House for the Farm Family Hoe downs. To my best buddy. The friendship we established is going to be quiet and lonely without hearing you laughter. You taught me to 2 step, you caught the garter at our wedding, and you loved our son so much, he called you and Marge his aunt and uncle.Your jokes brought so many smiles to peoples faces. I hope you continue to share your jokes with the angels above, they would enjoy it. I am sad to see you go but I am glad GOD listen to my prayer asking to end all the pain and suffering you were going through.I will truly miss you buddy...Call me from Heaven, I’ll give you a smile. You will be missed by all of us ! To my best buddy..You will be sadly missed. Your laugh is infectious, the jokes you shared brought laughter to so many people. You taught me to 2 step, you caught the garter at our wedding, most of all you had so much love for our son.I will miss your daily phone calls.We shared tears of joy and tears of sorrow...So sad to see you go, but at peace with no more suffering . GOD does answer prayer. You were Uncle Leon to Devin, he is so sad to see you go. We created our own little family, you marge and us..we shared so much. Call me from heaven and I’ll send you a smile...Love you my friend. R.I.P. Please share your memories of Leon.